Power Email accounts can be purchased as stand-alone accounts that can be added to our hosting or just by themselves with no hosting. This is a business-class, reliable mail service with plenty of space if you use webmail. It’s also perfect for those who need to have large amounts of mail on the server to allow for checking mail with IMAP on multiple devices. Configure on your computer using Outlook® and Mac® Mail, or use webmail in any browser. You can also configure it to work on most smartphones. 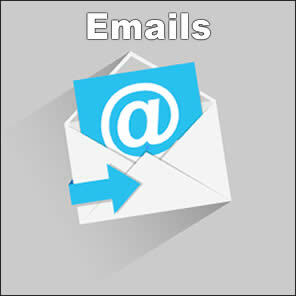 Webmail has Contacts, Calendar, Tasks, Chat and Notes. Main account includes 1 mailbox and up to 5 aliases if required. Applicable taxes are applied at checkout. Price effective as of January 1, 2019. Technical support available after hours via email. Business Hours: 9am-5pm M-F. Technical support available after hours via email.